20+ images from the Spotlight NYC premiere, including Mark Ruffalo, Michael Keaton, Liew Schreiber, and Director Tom McCarthy. Plus, get a sneak peek of the film in an intense new clip. Earlier this week (Tuesday, October 27), the stars of upcoming dramatic thriller Spotlight walked the red carpet for the New York premiere. Mark Ruffalo, Michael Keaton, Liev Schreiber, John Slattery, Brian d’Arcy James, and Director Tom McCarthy attended the event at the Ziegfeld Theatre. Other celebs were in attendance, including Schreiber’s wife Naomi Watts, Zachary Quinto, and Alicia Silverstone. In addition, many of the real journalists portrayed in the film were also there: Mike Renzendes, Ben Bradlee Jr., Sacha Pfeiffer, Walter “Robby” Robinson, and Marty Baron. 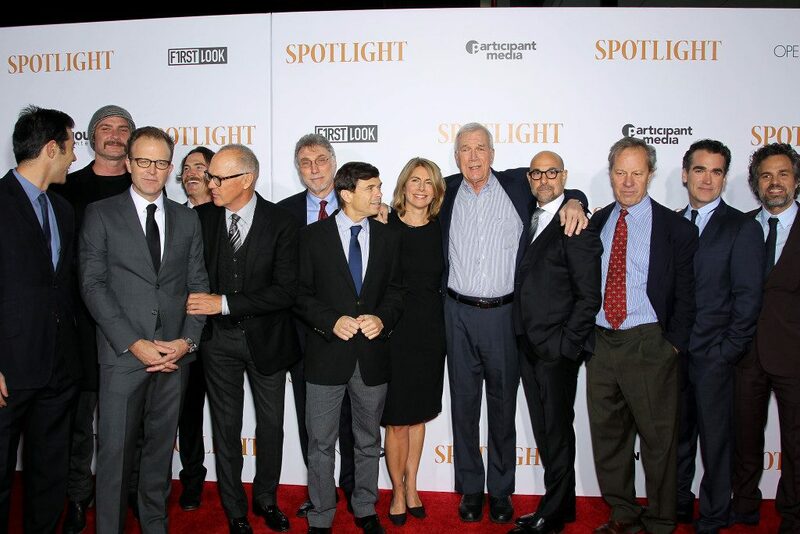 Spotlight opens in select theaters in NY, LA, and Boston on November 6th, 2015, and across the nation throughout the following weeks. Go HERE to see the official trailer and images from the film.